The hCG Diet Australia (we,us, our, or The hCG Diet Australia) recognises and values the protection of your privacy. We recognise that in using the The hCG Diet Australia website (the Website) and the service offered to you via the Website (theService), you are entrusting us with your personal information so we understand that you want clarity about how we manage that information. We may also ask you to nominate a UserName, a Display Name and/or a Password and credit details for the purpose of paying for a purchase. Most commercial websites use ‘cookies’, which are pieces of information that websites send to the browser and are stored in the computer hard-drive. Cookies make using the Websites easier by storing information about matters such as your preferences on the Website. This allows the Website to be tailored to you for any of your return visits. Cookies will not be used to identify you personally. 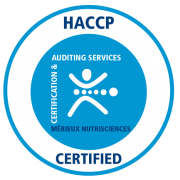 to assist The hCG Diet Australia with our marketing, planning, product development and research requirements. Should a third party approach The hCG Diet Australia with a demand to access your personal information or your user generated data, including any text, sound, video, image or software files you have stored, posted or transmitted via the Service, we will take reasonable steps to redirect the third party to request the information directly from you, wherever it is lawful and reasonable for us to do so. If we are compelled to disclose your personal information or your user generated data, including any text, sound,video, image or software files you have stored, posted or transmitted via the Service, to a third party we will take reasonable steps to notify you of this in advance, wherever it is lawful and reasonable for us to do so. In our business, personal information may be stored both electronically and in hard-copy form. We are committed to keeping your personal information secure regardless of the format in which we hold it and we take all reasonable steps to protect your information from misuse, interference, loss, and unauthorised access, modification or disclosure. However, you use the Website and/or Service at your own risk and we accept no responsibility, whether we are deemed to have been negligent or not, in the event of a breach of your privacy. In some cases, we will refuse to give you access to personal information we hold about you. This includes, but is not limited to, circumstances where giving you access would: be unlawful; have an unreasonable impact on other people’s privacy; prejudice an investigation of unlawful activity; reveal our intentions in relation to negotiations with you so as to prejudice those negotiations; prejudice enforcement related activities conducted by, or on behalf of, an enforcement body; reveal evaluative information generated within the The hCG Diet Australia organisation in connection with a commercially sensitive decision-making process. We will also refuse access where the personal information relates to existing or anticipated legal proceedings, and the information would not be accessible by the process of discovery in those proceedings. Further, we will refuse access where your request is frivolous or vexatious, and where we reasonably believe that: giving access would pose a serious threat to the life, health or safety of any individual, or to public health or public safety; unlawful activity, or misconduct of a serious nature, is being or may be engaged in against The hCG Diet Australia and giving access would be likely to prejudice the taking of appropriate action in relation to that matter. If we refuse to change the personal information as you request, we will provide you with reasons for our refusal, unless doing so would be unreasonable in the circumstances. We will also provide details of how you may make a complaint about our decision. Further, in case of our refusal, you may request that we take reasonable steps to associate, with the relevant information, a statement that you view it as inaccurate, out of date, incomplete or misleading.